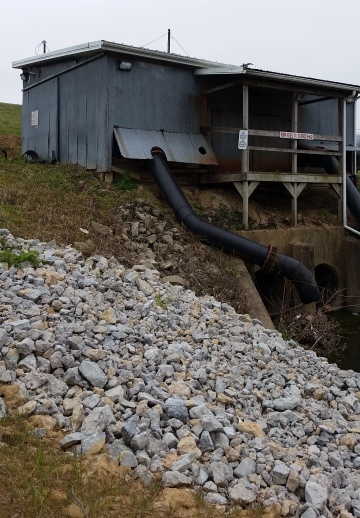 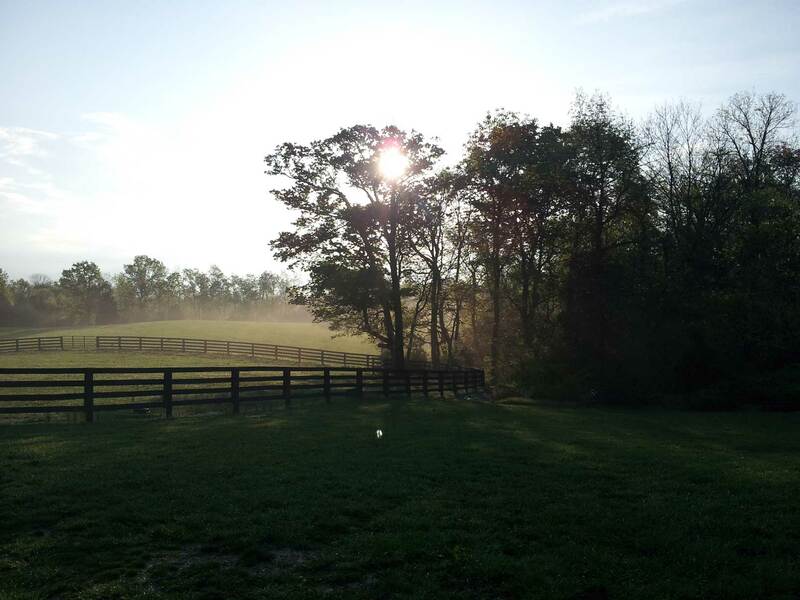 Levee & Drainage | Spencer County - Taylorsville, Kentucky! 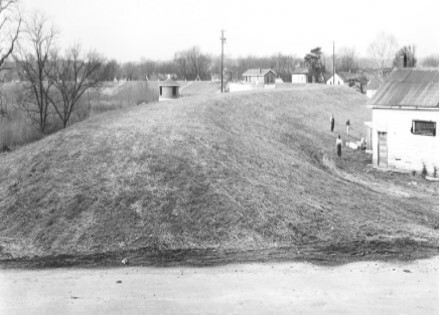 Next meeting: contact Levee committee member for details. 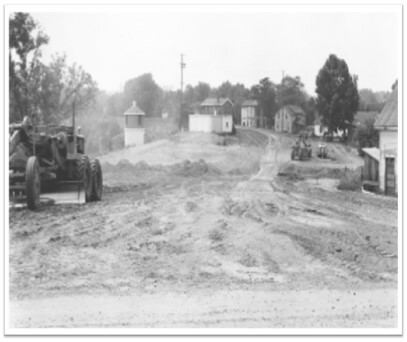 Meeting Minutes, 1944-present, are available at the County Clerk's office. 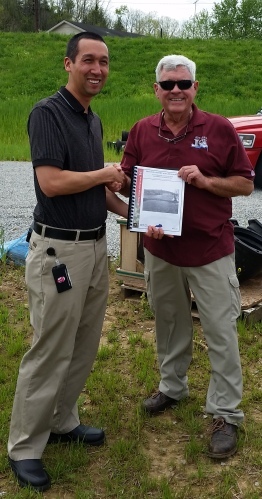 Neil Cash of Corps of Engineers presents Levee Accreditation document to Mike Driscoll. 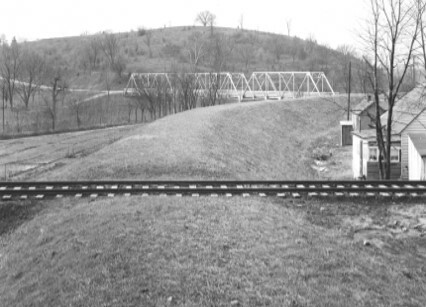 Congress passed the 1936 Flood Control Act, one of the most important events in the history of the Corps of Engineers. 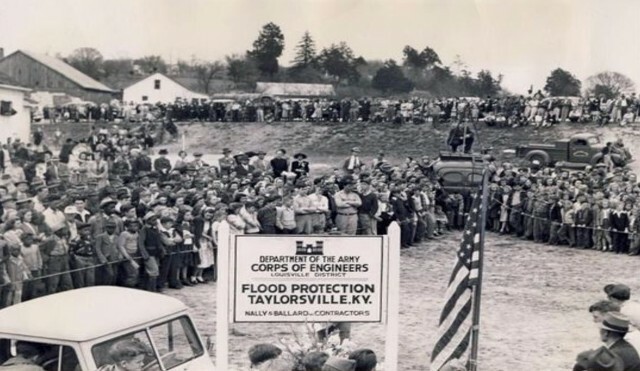 For the first time, Congress declared that flood control was a proper activity of the federal government, the act specified the obligations that would have to be assumed by local interests before the Corps could begin certain projects. 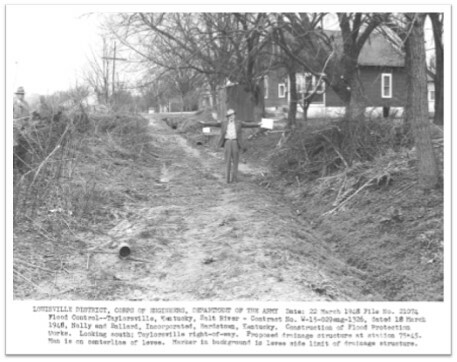 Taylorsville suffered heavy flood damage in 1935, 1937, 1939, 1943 and 1945, which prompted the need for the levee. 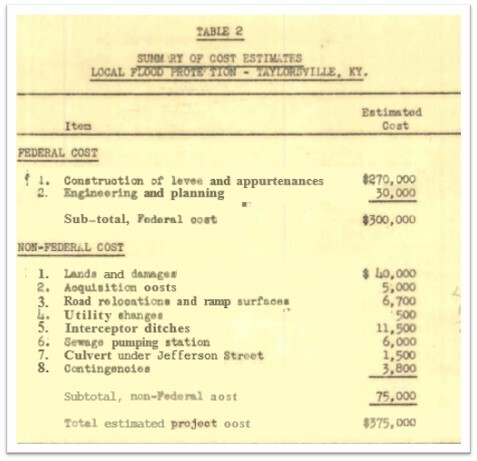 Value of property in area protected by levee, in Sept. 1947, $2,083,000.